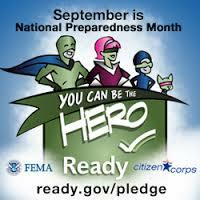 FEMA created National Preparedness Community in 2003 to provide a free and easy way for individuals and organizations to share ideas, activities, and techniques to build their preparedness capabilities. Today there are over 37,000 members ranging from private sector businesses, colleges and universities, faith based organizations, state and local government, to first responders. Ready Business helps small and medium-sized businesses prepare their employees, operations and assets in the event of an emergency. At Ready Business you can find vital information on how to get started preparing your organization and addressing your unique needs during an emergency. It also offers a ‘Business Continuity Planning Suite’ – including on-line handbooks, manuals, and plan generators. A valuable tool at no cost and continually enhanced! As your trusted advisors, we are here to assist you in preparing your business for a disaster. Contact us if you are interested in additional resources that your carrier may offer to assist you in protecting your future.